*Prices are subject to change. An additional charge may apply with longer, thicker hair. All corrective color services are by quote only and require an in-salon consultation. We provide services that are so individualized and personalized that the client feels understood and inspired to love their hair! Our team is thoroughly trained in advanced cutting and styling techniques. We believe this process is based on an understanding of your needs. 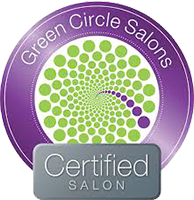 These services include in-depth consultation, massaging shampoo, conditioner, and helpful tips on maintaining your look at home. We have different pricing tiers to accommodate your needs and/or budget. Senior Designer – Designer 1-2: Designers will customize your look for you by asking a detailed series of questions. They have many years experience and have attended advanced education. They have an amazing ability to create a designer look based on your lifestyle and face shape. Stylist 1-2: These licensed stylists are in training to become a certified Designer and go through Chémel Salon’s advanced education program. While going through this training Stylists are able to provide quality services at a less expensive price. Jr. Stylist *Intern – please call for details – We do not always have a Jr. Stylist or Intern in training so availability may be limited. Chémel Salon is a teaching salon for Cosmetology. Our Junior Stylist level clinic students offer a variety of hair services at a lesser cost than our other services. Appointments and walk-ins are welcome. Your patronage helps Chémel Salon’s Intern Program students complete their training and log required hours to graduate. We value your time, and we know you value ours too! For first time services that are over 2.5 hours, you will be asked to place a Credit Card on file and pay a $25.00 deposit prior to your service. This guarantees that the time scheduled is exclusively for you, and that you receive the best quality of service! If you find yourself unable to keep an appointment, we respectfully request at least 24 hours’ notice for any adjustments or cancellations. This courtesy enables us to schedule another client and in turn, maintains a higher availability of services for you. Late cancellations may be charged $25.00, and missed appointments may be subject to a fee up to 50% of the service. As a courtesy, we will send out a reminder email 3 days prior to your appointment date, which you can use to confirm your appointment. Please ensure that we have your current email address on file in order to be able to do so in a way that may be beneficial to you. In addition, we do provide reminder text messages, however your appointment may only be confirmed using your email reminder. If you do not confirm your appointment via email, a member of our Front Desk Staff will call you 2 days prior to your appointment to confirm. We are more than happy to leave a message if you are unavailable. It remains your responsibility avoid late arrivals, missed appointments, and help us service our guests better by providing enough notice to avoid the cancellation fees.